can cause the breakdown of the body’s hormone, immune, digestive and detoxification metabolic systems. The key to discovering the cause of illness is an accurate assessment of the sources and impact of chronic stress. There is a difference between occasional stresses that we may be exposed to and those stresses that become chronic in nature and repeat over and over and over again, day in and day out. 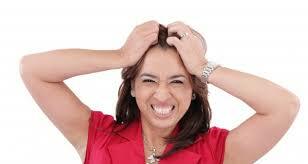 There are two general categories of stressors, “seen” or clinical stressors and “unseen” or sub-clinical stressors. Seen stressors are typically associated with lifestyle factors and have to do with internalisation of mental/emotional stress, blood sugar control, exercise, rest and recovery. These lifestyle factors can become sources of chronic stress. Usually they are easily identifiable by observing a person’s habits. stressors represent the rest of the sources for chronic stress. There is some overlap between clinical and sub-clinical physiological/biochemical stressors. The following list of potential sources of chronic stress will give you a good overview of the areas to consider relative to diagnosing the underlying cause or causes of health problems including chronic degenerative diseases such as autoimmune, cancer and cardiovascular disease, as well as depression, insomnia, allergies, fatigue, etc. Regardless of the clinical conditions and/or symptoms, this list will help you to understand where to look to investigate the stress or stressor that could be chronic in nature thus resulting in an ongoing chronic stress response that ultimately results in hormone, immune and metabolic breakdown. 3. Do not work out before 7:30am.